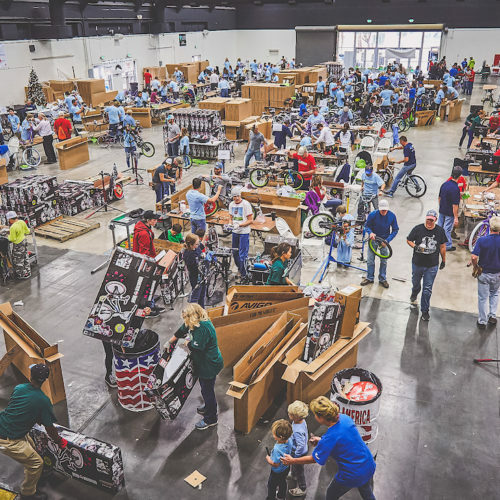 On the first Saturday of December each year Kids Bike Lane conducts a Big Bike Build at the Alameda County Fairgrounds in Pleasanton, California. 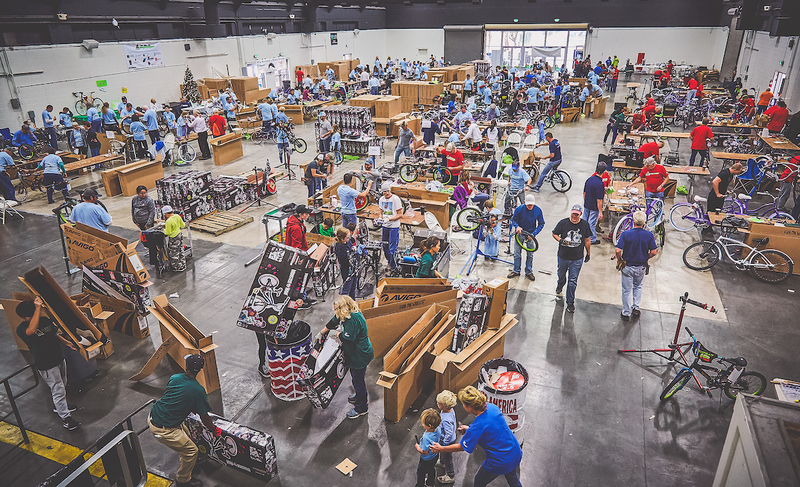 At our 2018 Big Bike Build, over 250 volunteers helped to assemble 700 bikes that were distributed to 20 charities that serve Alameda and Contra Costa Counties. 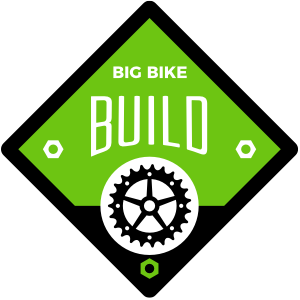 Registration will be open in early November for our 2019 Big Bike Build. We are always in need of qualified bike mechanics who are willing to donate a day to help ensure the bikes are assembled properly and safely. We spend the year soliciting donations, applying for grants and reaching out to corporations and individuals to raise the funds needed to provide these new bikes to kids in our communities. We especially thank our major corporate sponsor, Therma, for their generous donation, of which $25,000 was used in 2018 that enabled us to order 700 new bikes and helmets from Dynacraft and Helmets R Us for this year’s Big Bike Build. Help us reach our 2019 goal by making a donation and/or helping us connect with someone in your company who we can talk to about a donation, grant or Corporate Bike Build.